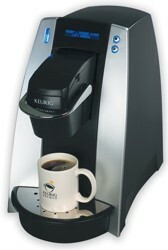 Reliant has the solution for gourmet single cup brewing for the office. 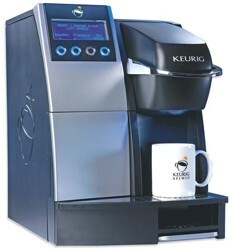 Our suite of Keurig office brewing systems offers a perfect cup of coffee every time with no mess and no clean-up. Office employees enjoy choices from over 190 varieties of K-Cup® portion packs from a number high end, gourmet coffee, tea and hot cocoa brands. 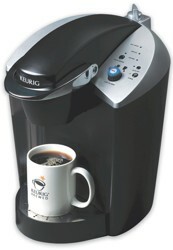 Keurig Brewing Systems were developed with convenience and ease-of-use in mind. Simply choose your favorite beverage, begin brewing, and start drinking in under a minute. There's no waiting, no mess, no waste, no cleanup, and best of all, no one is leaving the office. Recommend for offices with 25 or more employees. Recommend for locations with 15-30 employees. Recommend for locations with fewer than 20 employees.